View basket “Eight Gift Vouchers – Salsa Classes for Couples” has been added to your basket. A perfect gift for a friend or loved one. Four Salsa Classes Voucher covers entry for the whole night including an hour of dance class followed by a social party with special guest Dj’s on rotation. Once the voucher is purchased, and you have gifted your voucher, all the recipient needs to do is turn up and dance! Voucher will be sent by first class post. Dispatched separate from clothing. Classes are drop in so there is no need to book, just turn up with the voucher. Voucher is valid for one year from the date of purchase. 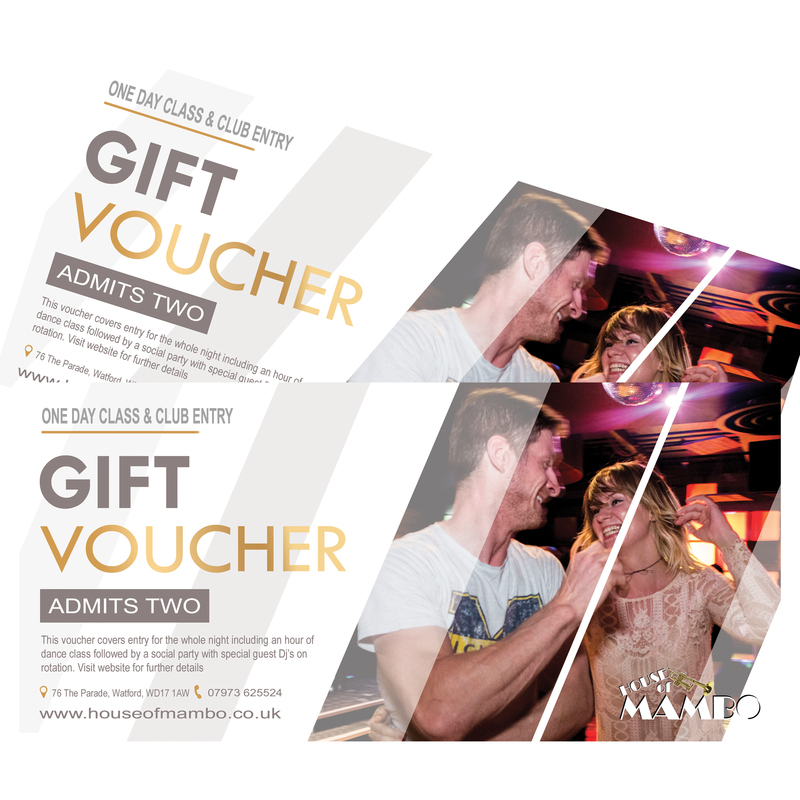 Contact House of Mambo (contact details below and printed on voucher) for up-to-date information.